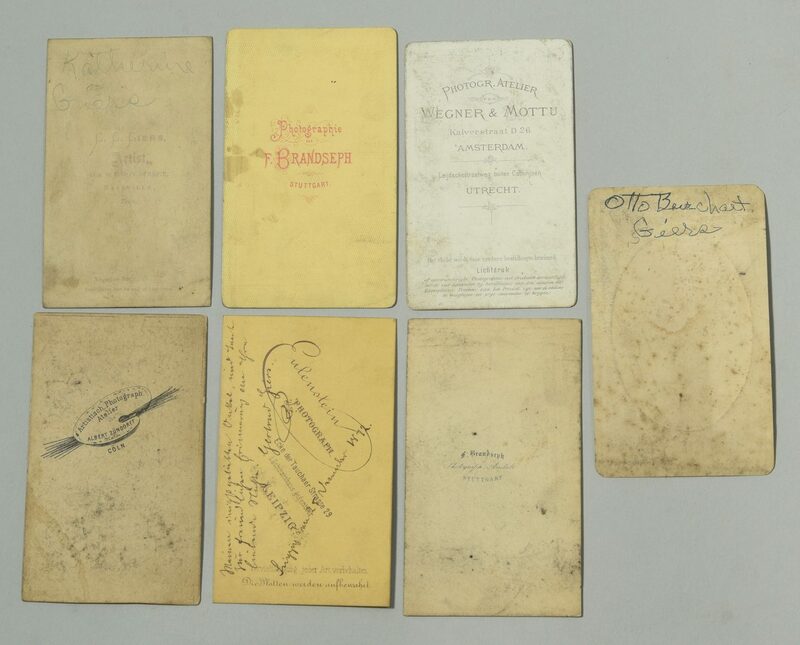 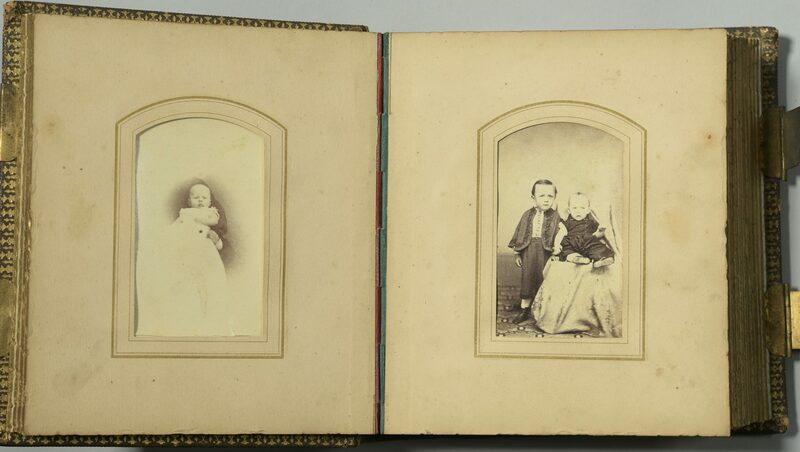 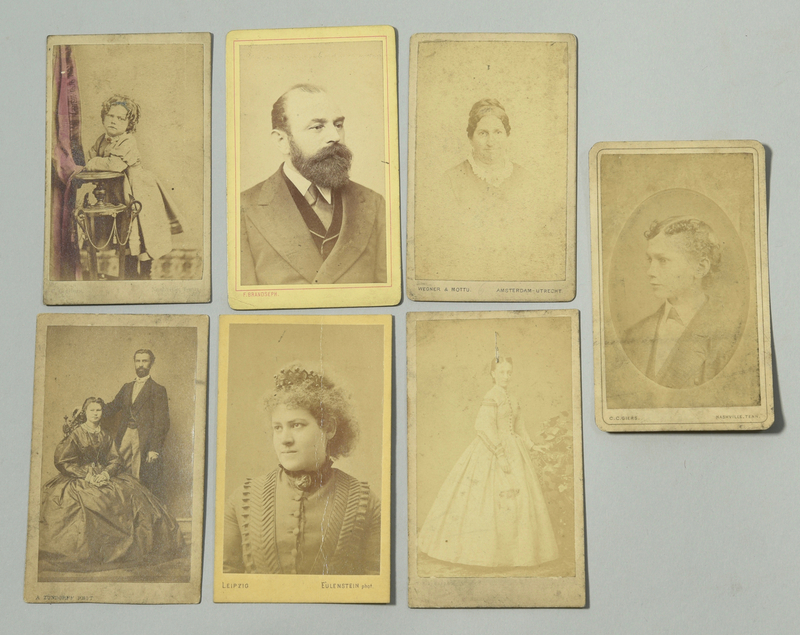 2 CDV Albums containing CDVs of family and friends of the William Hunter and C.C. and Otto Giers families. 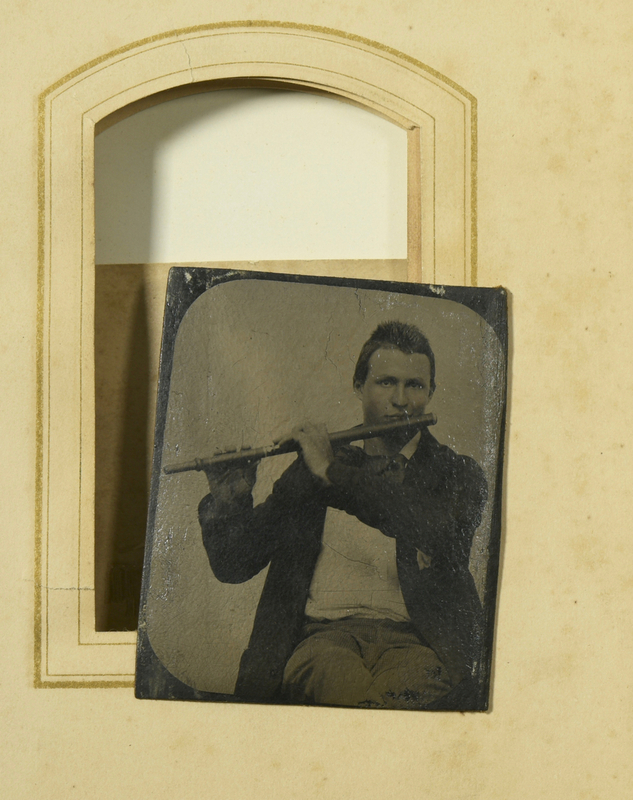 1st item: "Harding's Flexible Chain Back Album" – leather bound with gilt decoration, 6 1/2" x 5 3/4" – containing 29 CDVS of various men, women and children, some with German photographer backstamps, some stamped Giers or other Nashville photographic studios, and 1 tintype of a man playing a flute. 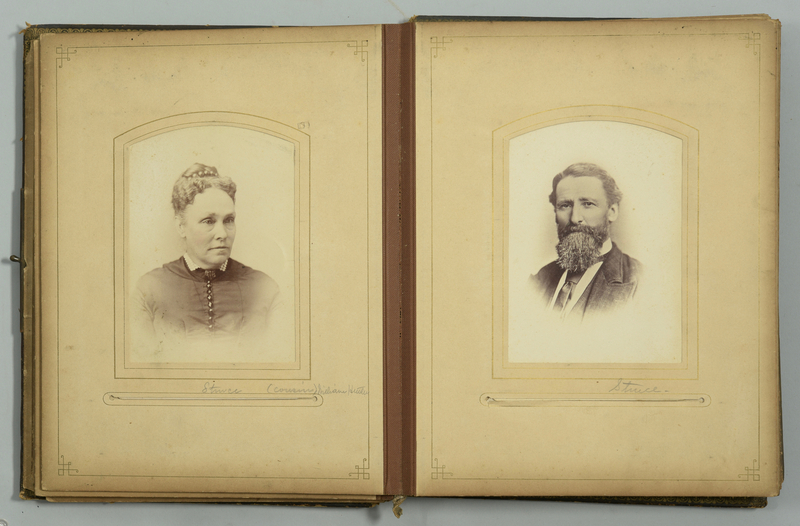 Some have names written en verso, including a very early image of Otto Burkhardt and his sister Katie, who were adopted by the Giers when their parents, the Burkhardts, died. 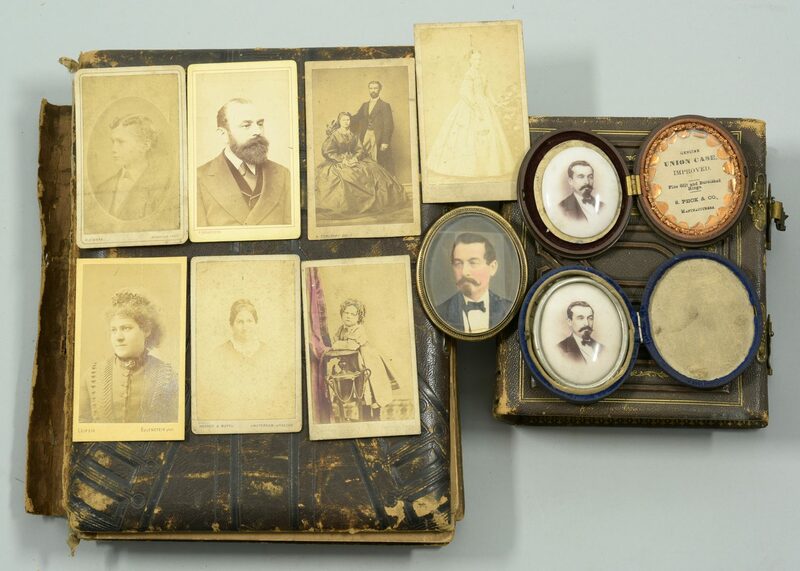 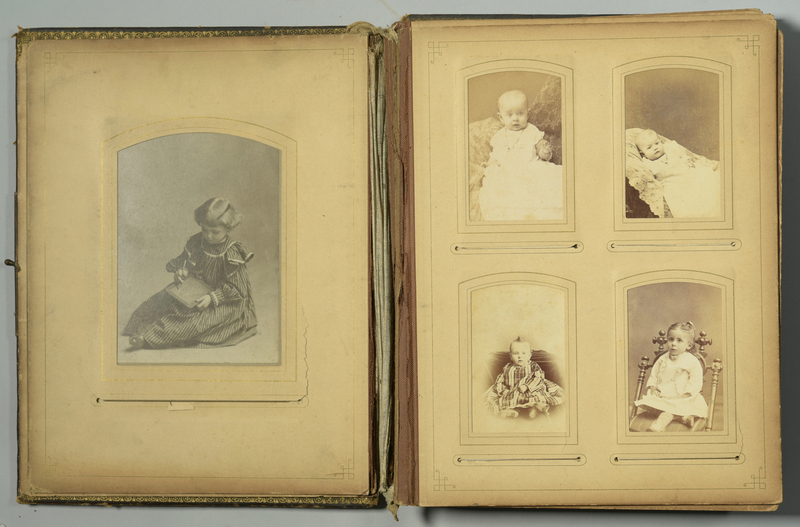 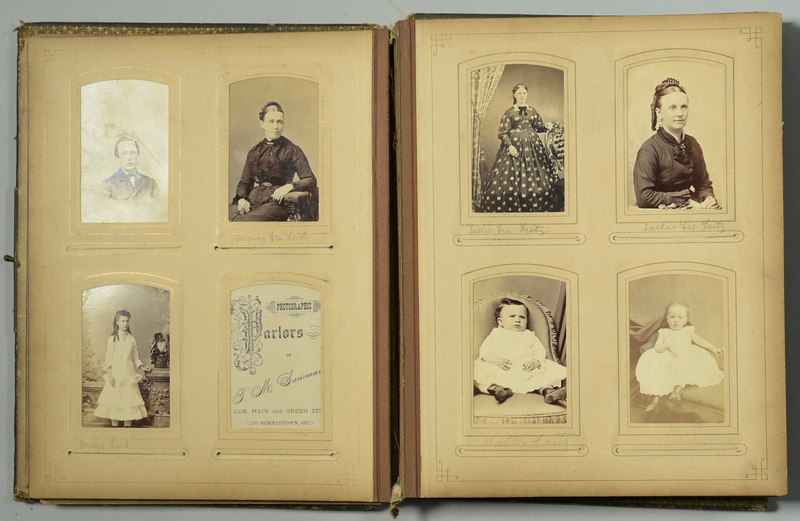 2nd item: Large leather Album, 11" x 8 1/2", containing approximately 65 CDVs and Cabinet cards mostly related to the Hunter-Fee family, several with backstamps for Philadelphia photographic studios. 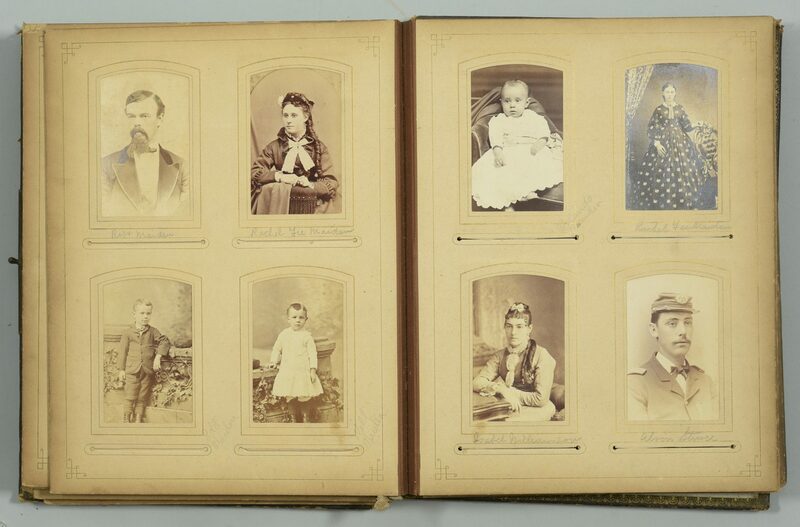 Many subjects are identified in pencil. 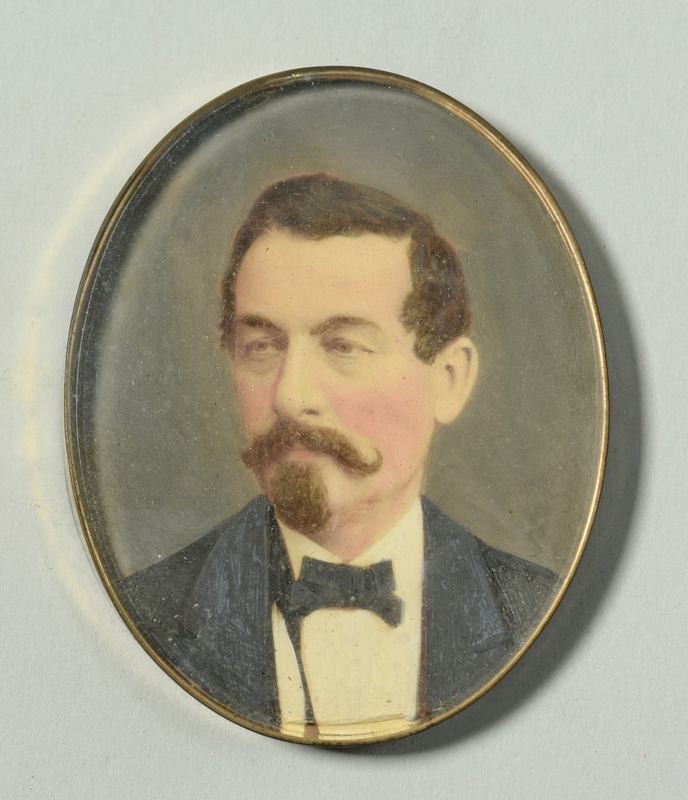 3rd through 6th items: 3 miniature portraits of C.C. 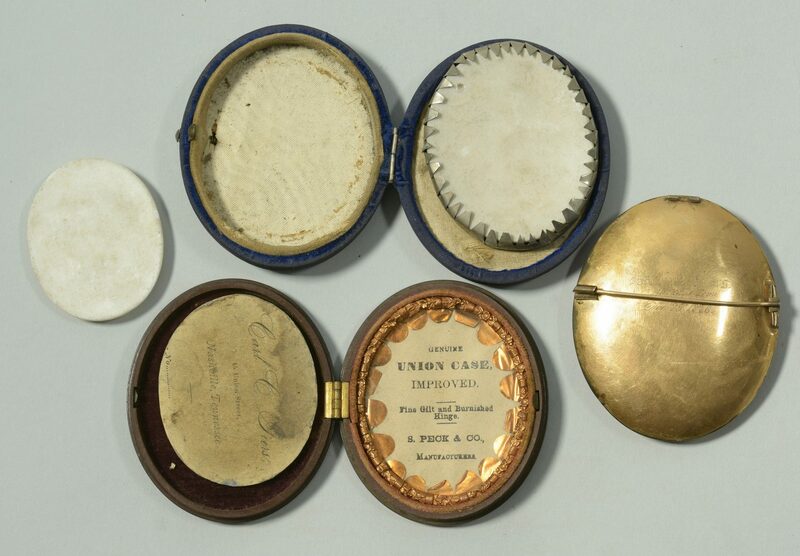 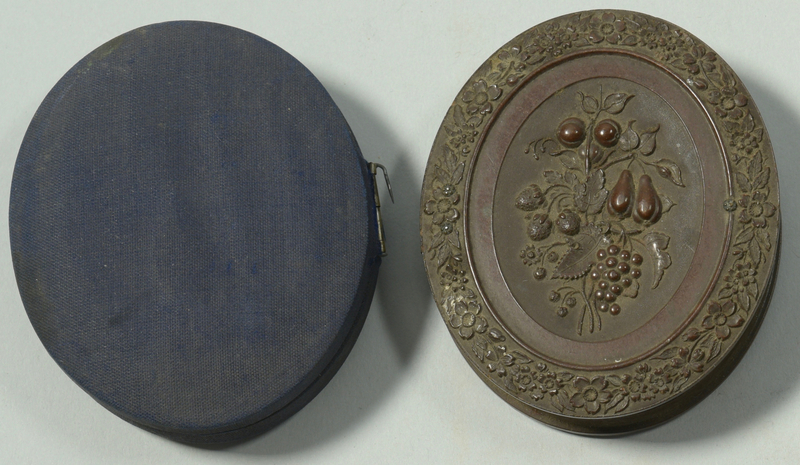 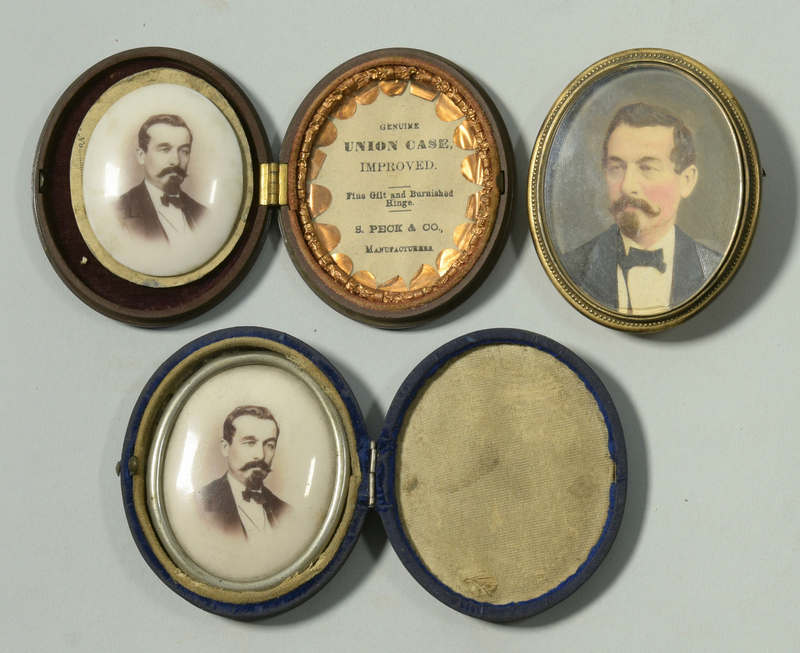 Giers – two printed on porcelain, 2" x 1 3/4"; and one hand colored photograph in gold plated brooch frame inscribed "Pauline Giers Nashville Tenn. 1876," 2 3/4" x 2 1/3" (not tested for gold content). 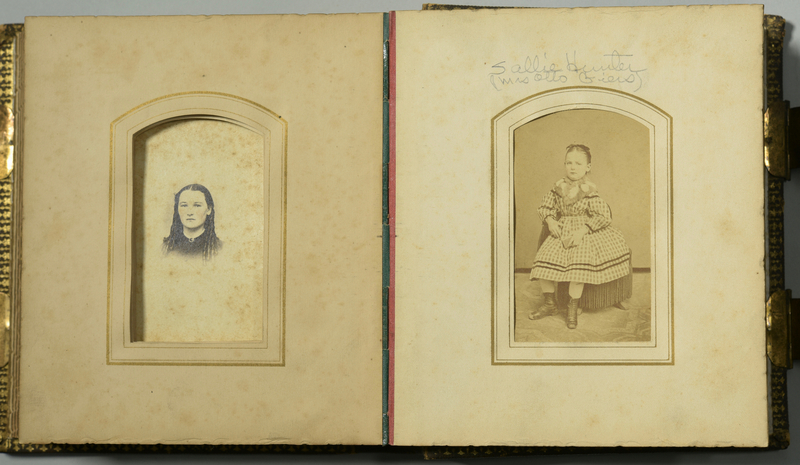 Provenance: the estate of Giers descendant Sarah Hunter Hicks Green, formerly of Historic Devon Farm, Nashville, Tennessee. 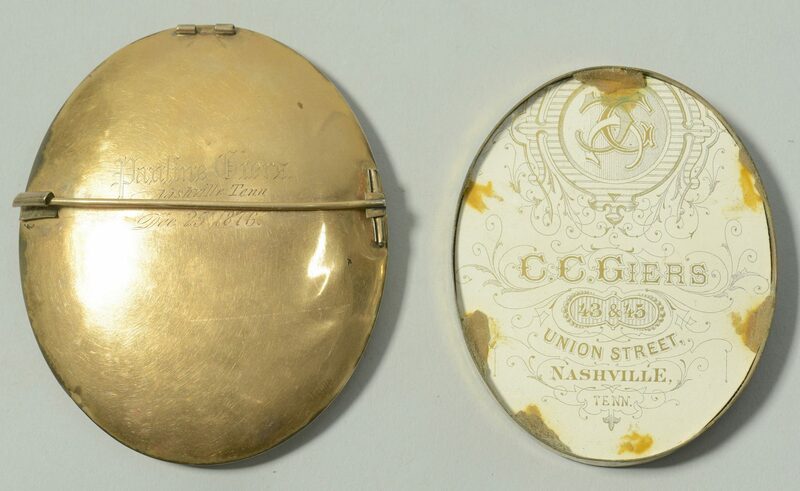 CONDITION: Gold on brooch not tested. 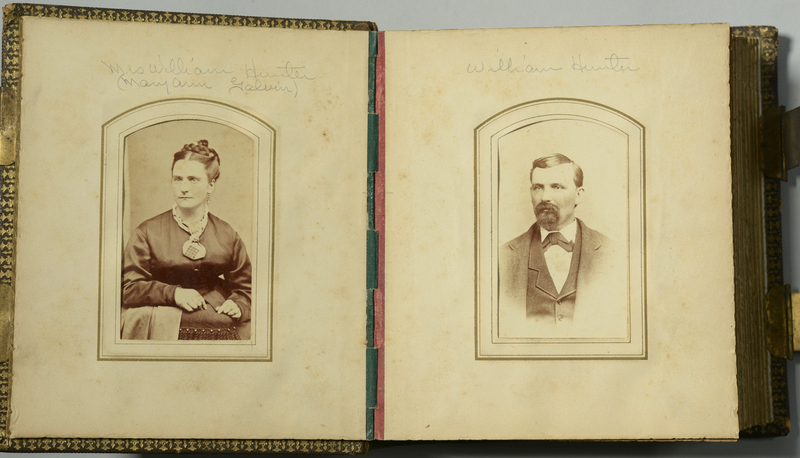 Harding Album is in very good condition, while the larger album has torn spine, front cover separated, and considerable exterior wear. CDVs inside exhibit expected toning and light handling grime, some possibly trimmed.